​The Pelicans were using the Lakers as collateral, and Magic Johnson has had enough. 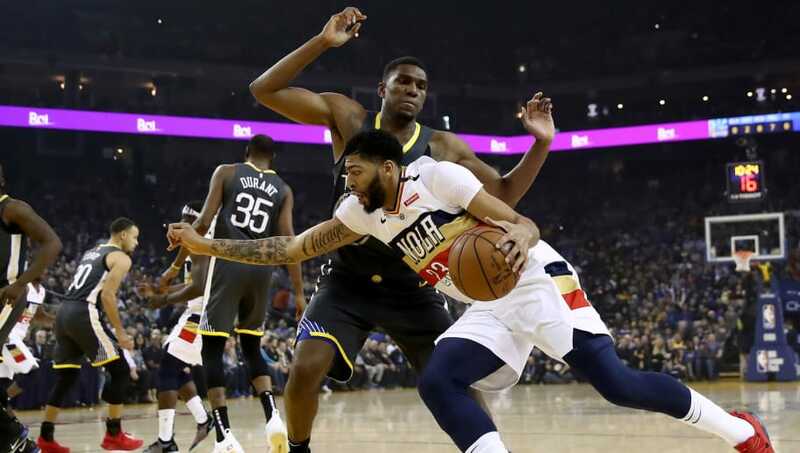 ​Los Angeles is all-in for Anthony Davis, but there have to be limits as to how much they give up. Despite offering up nearly half their team early this week, the Pelicans weren't interested. New Orleans is reportedly asking for 5-6 draft picks, as well as several pieces of the Lakers young core. New Orleans has no real incentive to trade AD to the Lakers right now, as more enticing offers will be available to them in the offseason (cough: Boston). While LA is clearly in win-now mode, trading all of your future assets and the majority of the young role players on the roster leaves LA with LeBron, Davis and G-League level spare parts. The Pelicans' asking price is absurd, and they're banking on the fact they'll receive the likes of Jayson Tatum in offers this summer. Danny Ainge is one of the best GMs in the NBA. He could very well be running laps around Dell Demps and keeping Davis from their arch-rival at the same time. In the meantime, LA better hope Demps is enticed to pick up the phone and make a realistic offer of his own.